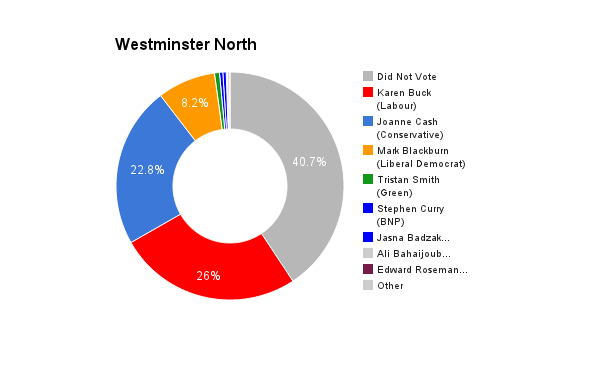 Westminster North is located in Greater London. The seat was created in it’s current form in 2010 after initially existing from 1983-1997. The current member of parliament is the Conservative Party’s Karen Buck who was elected upon the constituencies re-introduction.